( 2 ea.) 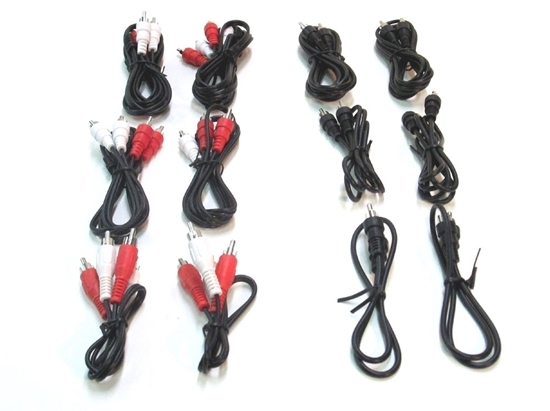 6-foot, 3-foot, 1-foot RCA-to-RCA stereo and (2 ea.) 6-foot, 3-foot, 18-inch RCA-to-RCA mono molded cables--Use to connect time code and video to your HORITA unit. 1-foot stereo cable is especially convenient for connecting video and time code when using side-by-side desktop or Rackmount HORITA units. Use a mono cable to connect a single feed of either video or time code to your HORITA unit. To connect video you need the RCA-to-BNC adapters found in kit AK1.